One Touch 4-drawer Organizer. 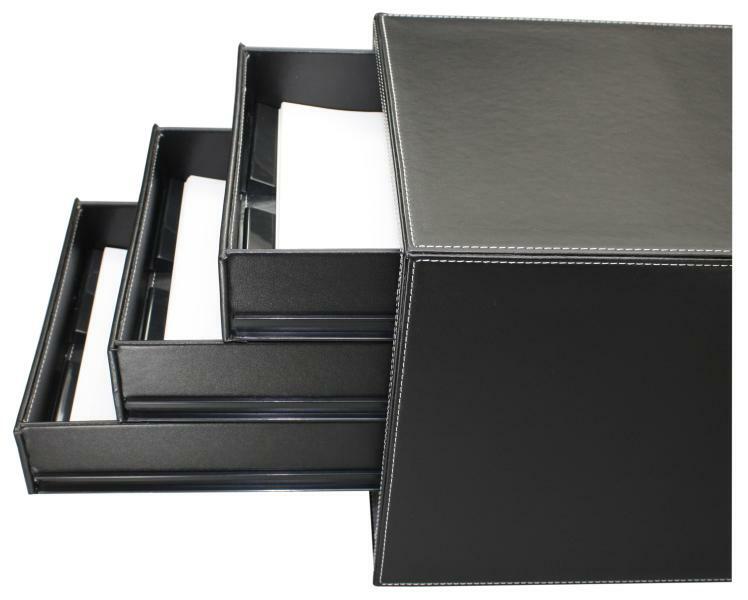 Fits letter-size paper and other accessories. 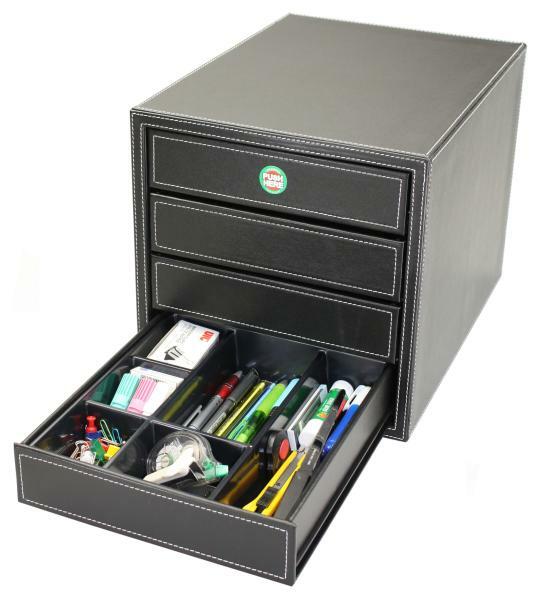 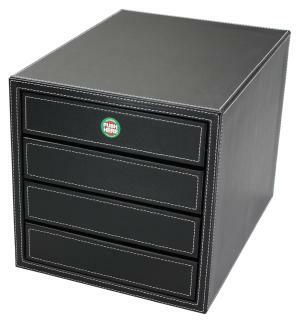 Push drawers to activate the pop-out mechanism without battery, drawers with lift-up feature for easy paper access. 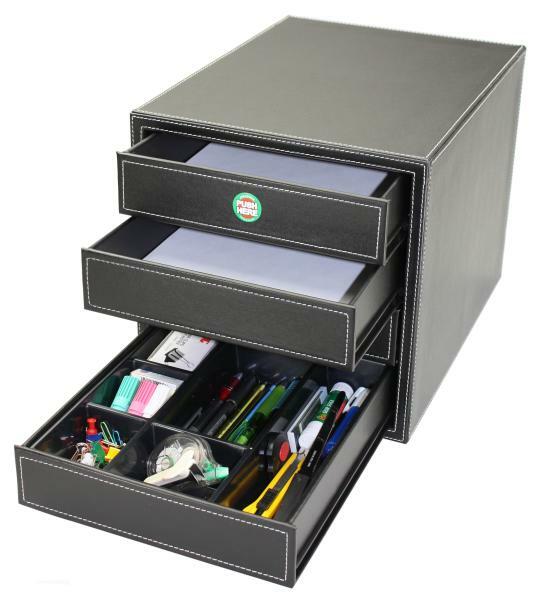 The bottom drawer with various-sized compartments for clips, writing instruments, etc.